Learn how to make this easy, inexpensive tassel DIY necklace in about an hour. This vintage piece can go with most outfits and can also make a great gift. There is something so special about vintage necklaces. In fact, they could be considered a “must-have” for every fashionista. Besides the fact that they do not go out of style, they are so easy to mix with almost any outfit. Whether you choose to wear jeans or skirts, you can add instant glam to your “outfit of the day” by wearing an antique-style DIY necklace. On the other hand, a tassel is a universal accessory that can be seen on almost anything. From curtains to dresses and costumes, tassels always serve as a very interesting element to any item. And because a tassel can create instant charm, it can be turned into a statement necklace as well. So what better way to make fabulous pieces than to combine them into a vintage tassel necklace! But, don’t fret- it is easier to make than it seems and this necklace tutorial will guide you through it. So now the real question is, why buy a necklace when you can make your own? The materials are easy to obtain as well. You can buy them online, or you can go to your local craft store. -many bronze eye (loop) head pins. Take note that there are many ways to do it. 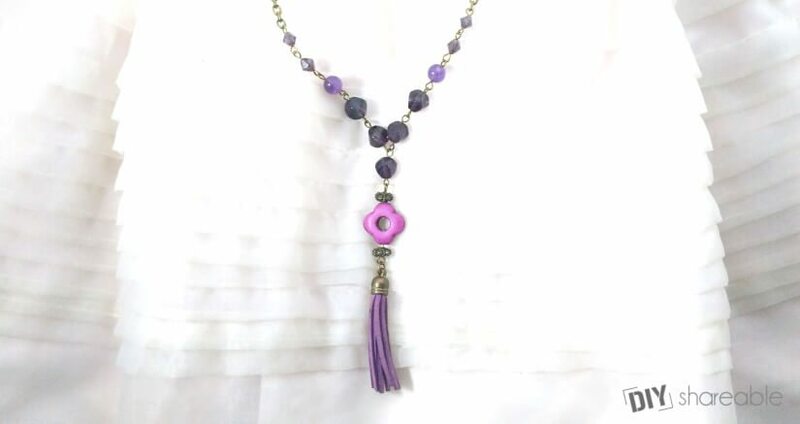 I have chosen to make one with a violet store bought tassel and beads in matching color, but you can choose any style of beads and tassels for this project. Attach an 8mm bronze open jump ring to the top of the store-bought 2-inch tassel. If you’re in a super DIY mood, you can also make your own jump ring using the extra tail of the headpins. For this project I had to cut at least half of the eye pins. Using a round nose pliers for jewelry making, you can shape a jump ring. However, if you find this too tacky, you can buy jump rings at your local craft store. Insert a flat head pin through one side of the flower bead. Then slip the spacer bead. Cut the excess wire, leaving a little more than 1 cm after the spacer. Make a loop using a round nose pliers. Do the same thing with the other side of the flower bead but do not close the loop yet. Connect the flower bead assembly to the tassel by slipping the jump ring that is attached to the tassel to one side of the flower bead. Alternately, you may opt to have both loops of the flower closed, as you can pull open the jump ring and close it after joining the two pieces. Slip eye head pins through all the beads. Cut the extra wire, leaving about 1 cm tail and then round them into loop. Be careful not to chip the beads while doing this. The beads can be a very fragile especially the smaller ones. Join two Swarovski crystal beads together by the loop. Then connect one 8mm round bead, followed by the two twisted crystal beads. Join the last twisted bead to the top part of the tassel piece by the loop. Attach another twisted crystal bead to the same loop. Then attach the remaining beads in this order: twisted crystal bead, round bead and two Swarovski crystal beads. What you have just assembled should look like a letter Y.
Connect the two ends of the chain to the two Swarovski crystal beads to finish the necklace. Again it should be noted that you can use other kinds of beads for this project. 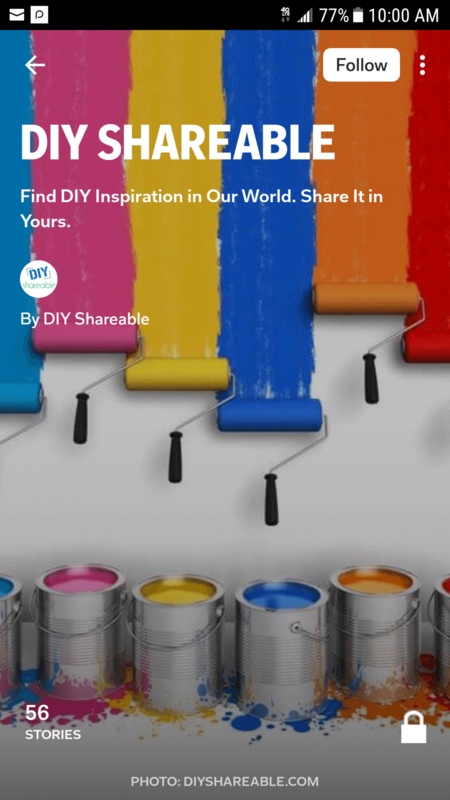 You can also come up with your own color or bead combination ideas. Feel free to mix it up! So there you have it….your very own vintage tassel DIY necklace. You can wear it right after you made it, or you can wear them to make any outfit look sassier. On the other hand, it can also be a great gift. And because it is super easy, you can make as many as you want!